By Adrienne Rivera. Apr 6, 2017. 9:00 AM. Creativity attracts creativity. It's true: creative minds often gravitate to one another. Perhaps this is why it is not uncommon to see couples formed after two people come together in a shared desire to create something meaningful, important, and lasting. Here's a list of famous and creative writers whose relationships with their spouses were forged by a mutual love of everything from aviation to photography. In this day and age when air travel is commonplace, Charles Lindbergh remains a hero. His landmark first solo transatlantic flight represents the zenith of American exploration and intrepidity, and the kidnapping and murder of his son still intrigues. His wife, Anne Morrow Lindbergh, though not as huge a figure in American history, is not without her own considerable accomplishments. She was the first women to earn a first-class glider pilot's license, and she often flew with her husband, charting air routes and exploring. 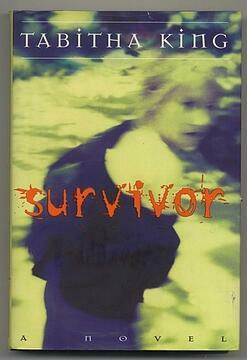 Mrs. Lindbergh wrote and published fiction, nonfiction, and poetry. 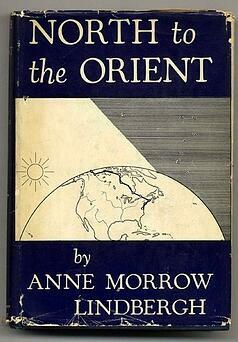 Her first book, North to the Orient (1935), won the National Book Award as did her second book, Listen! The Wind (1938). In 1940, she wrote a pro-fascism pamphlet titled The Wave of the Future. The Roosevelt administration attacked this book and the Lindberghs for being Nazi supporters. They lost much of their acclaim. However, in the years after World War II, the books Anne Morrow Lindbergh published were commercially successful and garnered new support for the couple. Likewise, her inspirational book Gift from the Sea was the number one best selling nonfiction book of 1955. Author Anne Rice is renowned for her now classic portrayal of vampires in her Gothic series of novels, The Vampire Chronicles. Many of these books feature lines and excerpts from the works of her late husband, poet and artist Stan Rice. Mr. Rice's first book of poetry, Some Lamb, was inspired by the death of his daughter, Michele, in 1975. His second book, Whiteboy (1976), was the recipient of the Edgar Allan Poe Award from the Academy of American Poets. He published eight poetry collections, one being the posthumous collection, False Prophet. He also published an art book titled Paintings. Stan Rice can be credited for encouraging Anne to quit her job as a waitress to focus on writing. The couple also urged their son, Christopher Rice, to publish his novels, which have also received critical acclaim. Today, Mary Shelley is a household name thanks to works like Frankenstein. She is rightly credited for her contributions both to the horror and apocalyptic genres; however, during her lifetime, her husband, poet Percy Bysshe Shelley, was the more well-known writer. In fact, Mrs. Shelley cemented Mr. Shelley's place within the literary canon by devoting herself to editing and seeing her husband's work published after his death. It wasn't until after she succeeded in editing a complete collection of her husband's work that she devoted herself to her own novels. Shortly after her death, Mary Shelley's complete works and letters were published, and she became recognized as a major player in the Romantic movement. It seems unnecessary to mention that Stephen King is likely the most successful commercial writer of this age. To fans of the horror master, his wife Tabitha King is best known for pulling his discarded Carrie manuscript out of the garbage and making sure it was finished and published. However, she and King originally met in a creative writing class in which he was highly impressed with her poetry, seeing her as the more skilled of the pair. And arguably, they are both famous writers in their own right. Mrs. King has published short stories, novels, and poetry. Many of her stories take place in the fictional town of Nodd's Ridge which is comparable to Stephen King's town of Derry, Maine. King has earned awards for both her fiction and for her contributions to literacy in Maine. Her sons, Joe Hill and Owen King, are also writers. Annie Leibovitz is one of the world's most well-known and successful photographers. Though they kept their relationship private for its entirety, she and Susan Sontag were partners, each inspiring and fostering creativity in the other while also offering important criticism and advice. Sontag considered herself to be a fiction writer, though she is best known for her essays and criticism. Her works include the novels In America and The Volcano Lover, the plays Alice in Bed and Lady from the Seas, and the essay collections Under the Sign of Saturn and Against Interpretation. She also published short stories and essays in magazines like The New Yorker and Paris Review. Sontag won the National Book Critics Circle Award, a MacArthur Fellowship, the George Polk Award, and many others. She is known for her activism and essays on the AIDS epidemic, 9/11, and Sarajevo.